Earlier this week, several members of the CAI-OC Chapter met with the local representative, US Congressman John Campbell. They spoke with the Congressman about the unique impact on community associations of the mortgage situation. From L-R: John MacDowell, CLAC OC Liaison, Wendy Bucknum, At Large Delegate and Chapter President, US Congressman Campbell, Ramona Acosta CLAC OC Delegate, Jamie Hackwith, CLAC OC Delegate. This was a very productive meeting and Wendy Bucknum would like to remind all others who are meeting with their local representatives to bring a camera as it’s difficult to capture a quality picture of everyone with a mobile phone camera. 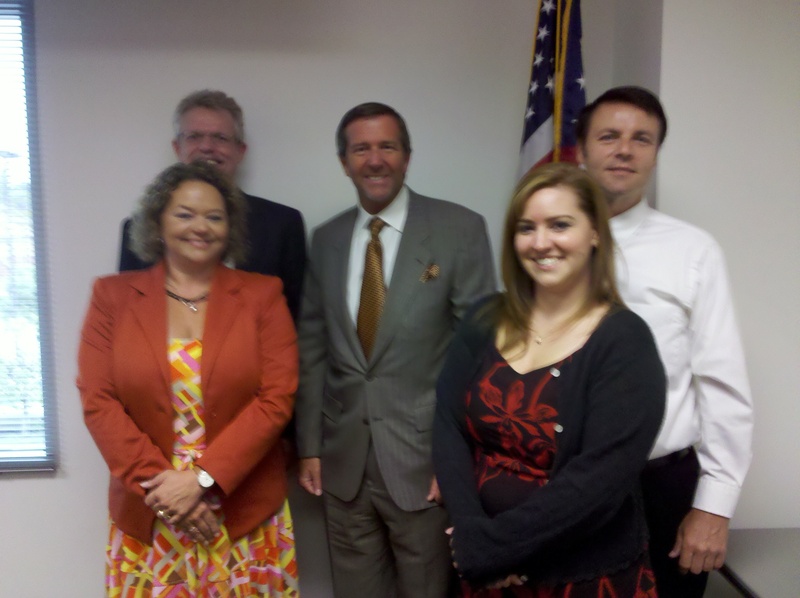 Thank you to the members of CAI Orange County for sharing this photo with CAI-CLAC. More information about how CAI is approaching the mortgage situation is available at Mortgage Matters.